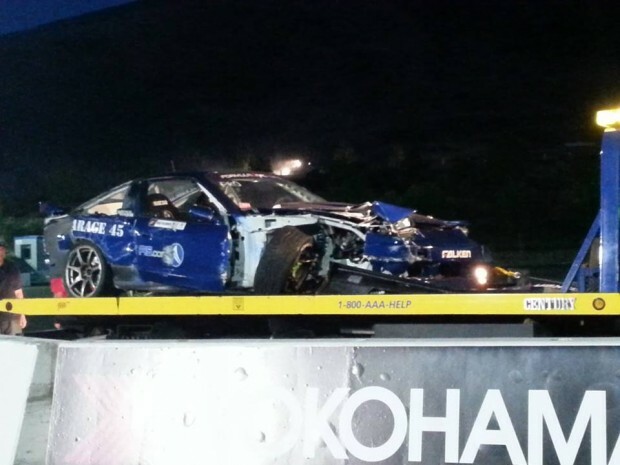 Eugene Kretschmer was ready to make his Formula Drift rookie debut at Round 5 Evergreen Speedway, but it seems that last night at a Sonoma Drift event he made contact with a wall. He has a lot of work ahead of him if he is still going to try to make it to Evergreen. A little footage from Danny George getting familiar with the new track layout at The Wall. Clearly he had no trouble adjusting because this round he made his first Top 16! if you love what Danny George is about and want to support this underdog as he climbs through the ranks check out his site and grab some merch. 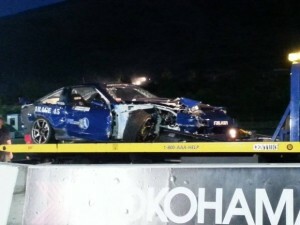 for those of you who missed it, or just want to see it again, here is Chris Forsberg drifting without a door courtesy Darren McNamara at FDNJ.